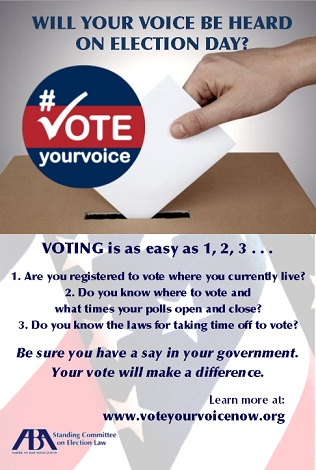 Find all your specific voter information at www.ambar.org/vote as provided by the American Bar Association. Click the state of "AR" to view Arkansas voter information. The Arkansas Judicial Campaign Conduct and Education Committee, Inc. This website is dedicated to displaying information about judicial candidates, including biographical data, photographs, personal statements, and endorsements. The information has been collected from judicial candidates who choose, voluntarily, to participate as part of the guide after the candidates filed for office. www.arkansasjudges.org .